Banner & Witcoff sponsored the Boys & Girls Clubs of America’s 2018 Southwest Youth of the Year Celebration on June 11 in Dallas. The Boys & Girls Clubs of America’s Youth of the Year program has honored and celebrated the nation’s most inspiring teens and their incredible journeys for more than 70 years. 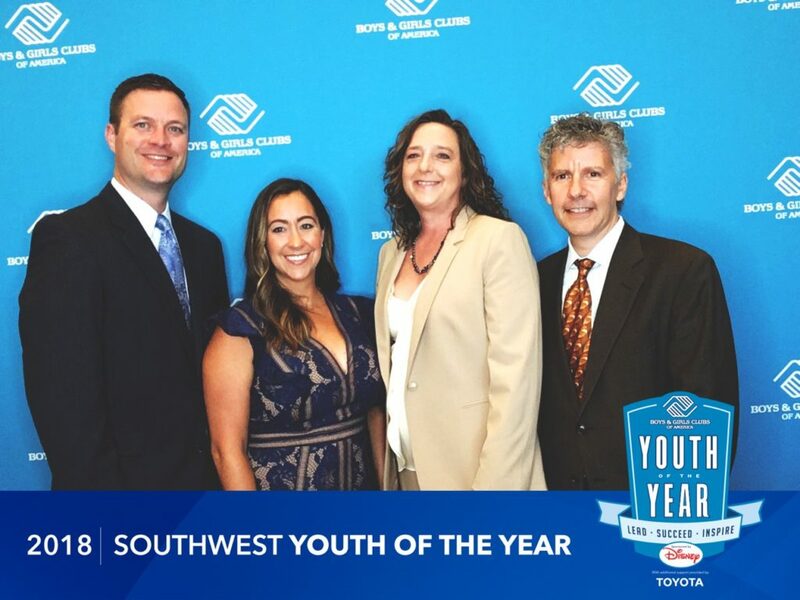 Banner & Witcoff’s Matthew Becker, Katie Laatsch Fink, Janice Mitrius and Marc Cooperman attended the 2018 Southwest Youth of the Year Celebration. Each year, thousands of teens participate in local, state and regional Youth of the Year events. Six teens, including five regional winners and a national military youth winner, advance to Washington, D.C., for the National Youth of the Year Gala & Celebration Dinner, where one outstanding young person is named Boys & Girls Clubs of America’s national teen spokesperson.